As a huge fan of HomeKit products one thing that I truly longed for was an adequate surge protector. 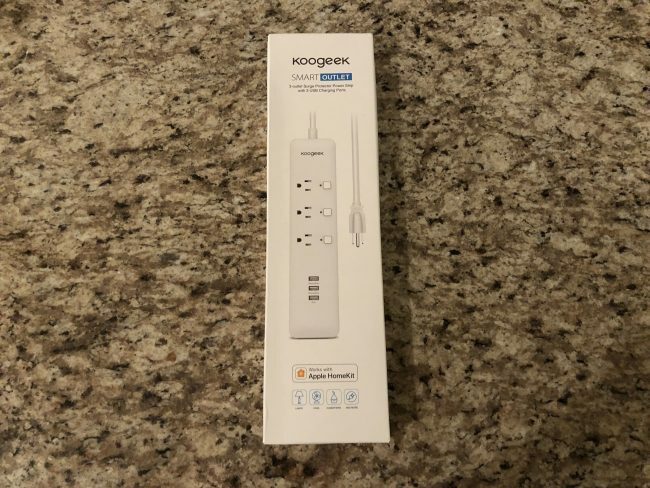 Now that Apple has begun opening up their Smart Home platform to more companies and changed their framework a bit, you’ll see more and more smart home products popping up left and right, but the Koogeek Surge Protector REALLY caught my eye. 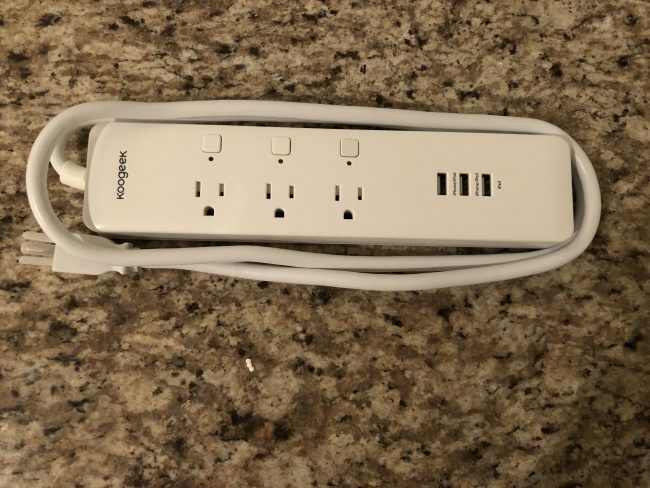 Prior to receiving the Koogeek Surge Protector, I used a standard surge protector to have all of my bedroom items including lamp, iPhone charger, and laptop charger connected to a single Elgato HomeKit-enabled smart plug. The problem with this method is that if you turn off the Elgato, everything turned off with it, phone, lamp, and laptop. This is a bit of a hassle if you want to turn off certain things but not other. This is no longer a problem courtesy of the Koogeek Surge Protector. 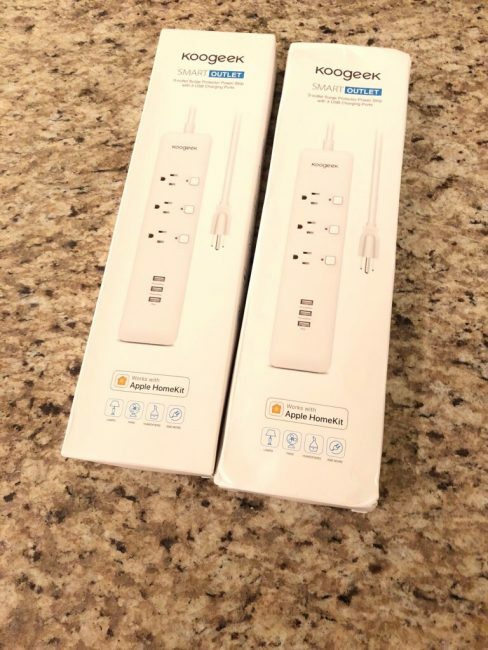 Coming complete with three outlets with individual buttons that you can manually turn on and off, the surge protector comes with an additional three USB charging ports. So now you can isolate all of your individual cables so that they are always turned on, leaving you room for three devices that aren’t as simple to charge like a phone or tablet. 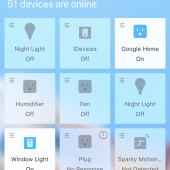 What makes the Koogeek more special than other smart plugs on the market is not only does it work with Apple’s HomeKit, but with Google Assistant and Alexa, so now regardless of which room I’m in, I can tell Siri, Alexa, or Google to turn off the Humidifier, or turn off the fan, whichever I decide to plug into the port and it will do just that. 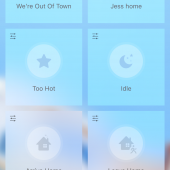 Not only can you do this all with your voice, but you can also set up scenes and commands within each app is very helpful when you are at home or away. 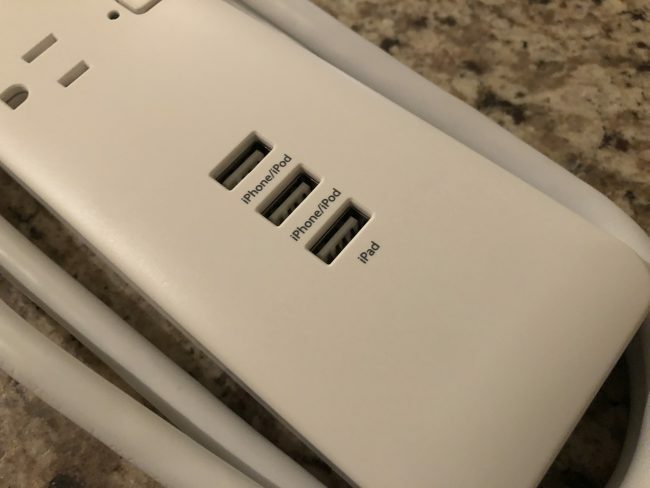 There are indicator lights for each of the three devices that you have connected which are green when in use, and red when they aren’t making it crystal clear when certain things are plugged in. The companion Koogeek app leaves a lot to be desired, but this may be just my personal preference. I find myself enjoying Apple’s “Home” app more than 3/4ths of the third-party apps because of seamless control of everything, and the ability to set up automations a bit clearer. I will acknowledge though that Koogeek’s continues to get regular updates, now including things that you didn’t ask for but appreciate like wind speeds, weather, and how many devices are not currently working or need to be updated (in my case are a lot). 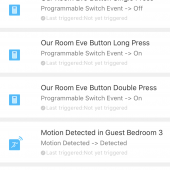 They’ve tried their best to emulate the Home app by even including the ability to view the home cameras you have connected as well. 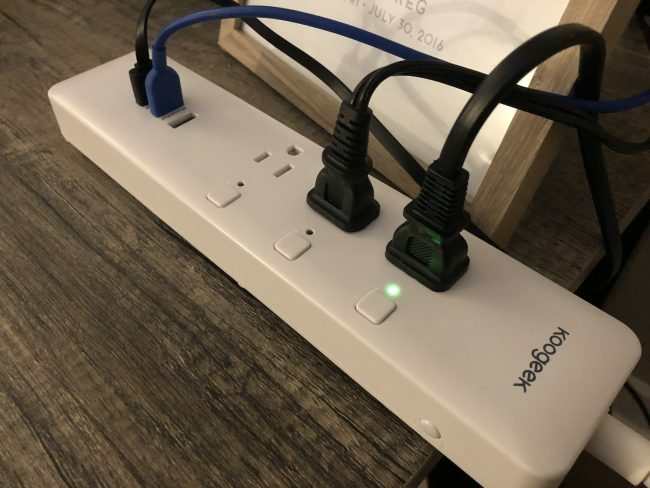 Overall though, the Koogeek Smart Outlet is one of the most useful products that I currently use in my home, mainly for its USB ports, but most importantly for its ability to individually toggle off the things that I deem necessary. If you’d like to purchase one or two for your home, you can head over to Amazon [affiliate link] where they are currently only $50.95.